Situated in the Mall of the Emirates is one of Dubai's most popular – and surprising – attractions. With a skiing area of 22,500 m², it isn't quite the largest in the world, but it's by far the most luxurious! Here are a few things to know before your visit. That term comes from the black lines that used to mark out the steepest, most challenging pistes on a ski map. If you didn't already know that, then it'd be best to avoid this one! If the black run sounds too scary, fear not! The 85-meter high artificial mountain offers five slopes up to 400 meters. Whatever your skill level, you'll find something to enjoy! Need a break from Dubai's sweltering heat? 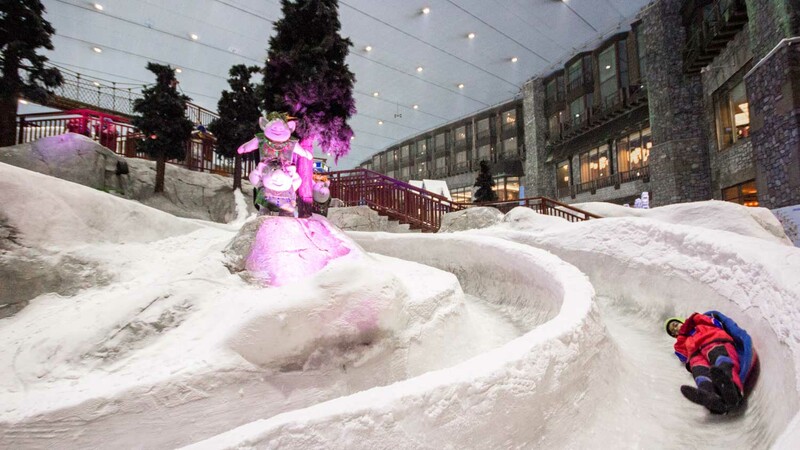 Its indoor ski slopes are kept between -4°C and -6°C. Ski wear is included in the price but you might want to bring a woolly hat! Chilled water is shot out through ceiling snow cannons every evening. As with winter rain, the water rapidly crystallizes once it's been exposed to the freezing temperatures! Yes, you heard correctly: penguins. They're released from the enclosure several times a day, but if you want to meet them personally, then you'll have to book tickets in advance! Visitors must meet certain requirements in order to ski alone. The minimum means being able to make turns, stop, and use a chairlift. Absolute beginners can still ski if they book a lesson in advance, or can simply enjoy the bobsled, toboggan, and zipline runs. 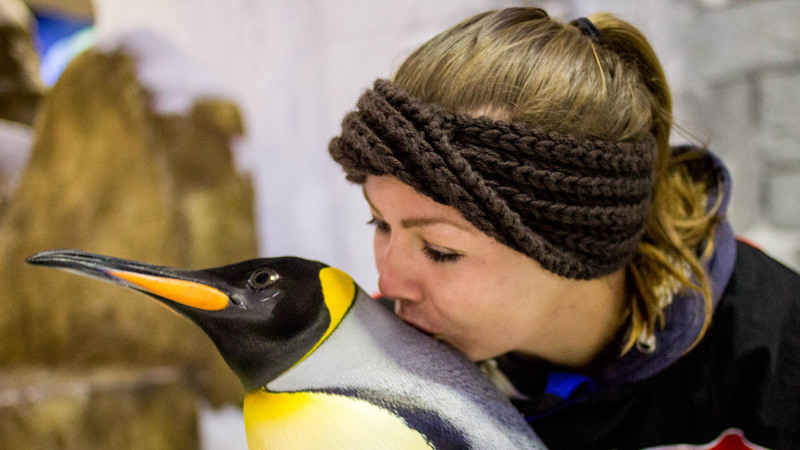 Also, did we mention the penguins? The Ski Dubai opening hours are from 10:00AM to midnight on Thursdays, 9:00AM to midnight on Fridays, 9:00AM to 11:00PM on Saturdays, and 10:00AM to 11:00PM throughout the rest of the week. It can get busy, so save time by buying your tickets online first. The Mall of the Emirates and Ski Dubai are located along the Sheikh Zayed Road. The closest metro station is Mall of the Emirates Metro Station 2. Hours vary slightly by day, but the slopes are always open from at least 10:00AM to 11:00PM. A full day pass for adults is 275AED, which is roughly $75. Two-hour passes also available. 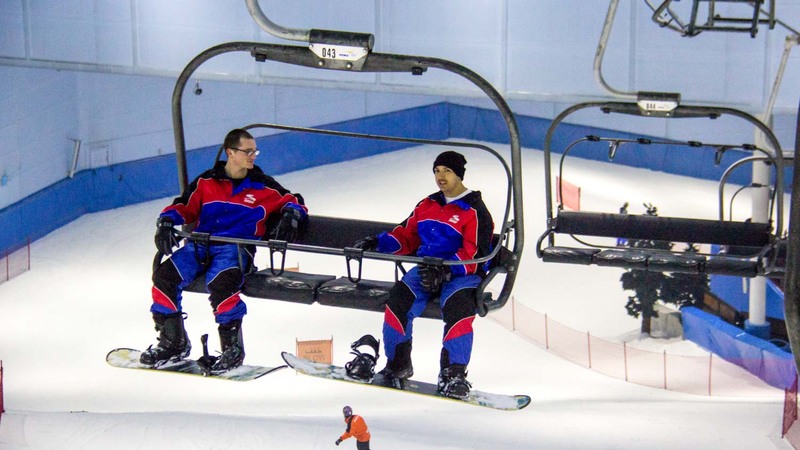 You can book a lesson direclty with Ski Dubai, or check out our other tickets! Take the Metro to the Mall of the Emirates Metro Station 2. 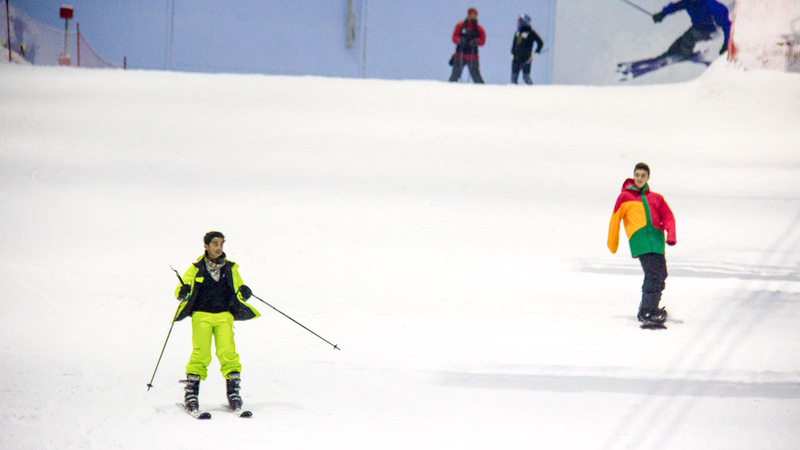 Ski Dubai is located on Sheikh Zayed Road. Lockers can be rented for 25AED. | There is a 20AED deposit for the ticket, which is refunded when the ticket is returned.